Do you need to compromise your ethos to be a good host? This is the conundrum we’ve been chewing over today whilst weeding our way round the glasshouse garden, prompted in part by Farm Girl having either 1. a play-date or 2. a friend over to play (just quietly, the former sets our teeth on edge), This whole “school friend to visit” thing is not a common Homestead occurrence so Farm Girl was quite beside herself with excitement. 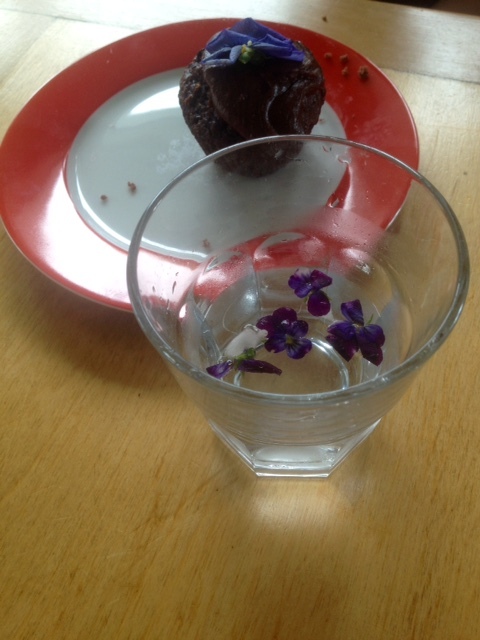 A programme of activity had been drawn up (predominantly animal and skateboard/scooter based, with a little driveway chalk art and maybe a bit of inside doll/game/hanging out in the bedroom stuff if the need arose), a fitting morning tea of chocolate muffins decorated with arduously selected pansy flowers pressed into their chocolate icing (because this was a BIG deal) and smaller viola flowers frozen into ice blocks to cool the accompanying beverage, and the correct soundtrack for the morning cued up (Frozen followed by Spiceworld and the soundtrack to the 1994 NZ production of Jesus Christ Superstar – Farm Girl has spent some time trawling the Homestead CD collection). This was a Farm Girl presentation and all boats were being pushed out. Of course it couldn’t live up to expectations; animals can be scary, the beverage was water, and as for the rest…it was just a bit, well, boring. After a bit of desperate, whispered conversation in the garden, during which it was made clear that there was no way another beverage was being supplied and watching a DVD was not going to be sanctioned, our resident seven year old exercised the art of compromise and, long story short, Spirograph and Drag Strip saved the day. 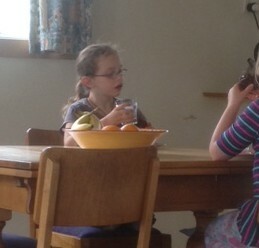 During lunch, a debrief of sorts was conducted. Farm Girl was feeling a bit delicate about the way she chooses to pass her holidays being met with such indifference, that her beloved skateboarding was deemed boring, and her animal friends screamed at and ran away from. Once the tears abated, anger stepped in. Why had we adults not let her entertain her friend in the way her friend expected? Why didn’t we have bought biscuits and fizzy drink? Why couldn’t we be like EVERYONE ELSE? As the three adults in residence made gallant attempts to formulate feasible, fair, factual responses , Farm Girl didn’t look up from toying with the Spirograph cog that has missed the post play-date (shudder) clean up. The Goat Herd had just taken up the baton and was launching into yet another variation of the whole living your own truth deal, when Farm Girl released a heavy sigh. 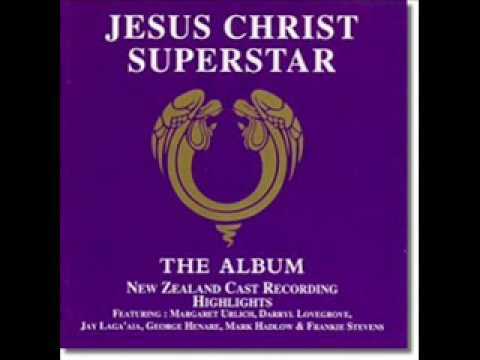 So lunch finished with a raucous Andrew Lloyd Webber/Tim Rice themed sing along with repeat performances of King Herod’s Song, and half a chocolate muffin each. As for the conundrum, no answer was forthcoming. Perhaps being true to your beliefs renders you a bad host or maybe, as The Bean Counter suggested on hearing the day’s news, seven year olds aren’t renowned for their guest magnanimity. This entry was posted in Family and tagged activities, activity, assimilation, children, chocolate muffins, farmgirl, friend, friends, Frozen, games, guest, guests, Homestead, Homesteader, homesteading, Jesus Christ Superstar, kid, kids, morning tea, muffins, normal, normality, party, party food, play, playdate, playing, standing out, visitor, visitors. Bookmark the permalink. Life can be so difficult, she is fortunate to have such a close family to help when things don’t go as expected. It was definitely a “best laid schemes of mice and men” moment. Thanks for the recommendation. Willl definitely check out The Green Wind! We are lucky that our local market is continuing to grow and we can usually source a relevant, meaningful gift that satisfies the recipient without compromising too much. This whole love to shop thing…blah!! Love to shop? Bane of my life! Each Christmas is a time of incredible stress for me. I have gifts for my daughters December birthday to sort from us and from both sets of grandparents, Christmas gifts for 3 kids from the same people, gifts for my nephews and then they have January and early February birthdays too. And they are the kids that have everything to boot. NIGHTMARE! My heart goes out to you…I really mean that. Gift giving has taken on a whole new guise where it is more about the cost and who has the most stuff. Yuk! Your hanky fluttering mentioned above had mine fluttering too. That is a pretty wonderful affirmation of a job well done! We’ve definitely been there on this one. And it took a while. Over about 5 years, my younger daughter found about 4 girls whose interests were diverse enough and whose hearts were generous enough to enjoy time with my independent, wildly eclectic little soul. And it cut two ways – she had a big learning curve as a guest, too. She was a dinosaur fan, a tree climber, she loved Loreena McKennitt music at the time, and shortly developed a passion for the Harry Potter world, and we used to have little chats before she went to someone else’s house – they might not have any dinosaurs, you have to be willing to do what’s offered, even if it’s pink, etc, etc. Part of her learning curve was really mine, as I had to realize that my very gregarious, the more the merrier older child had not prepared me for my younger, one or two good friends is all I need girl. As Colorpencil says, I think Farm Girl has bounced back pretty well. Sounds to me like she’s going to live to fight another day. 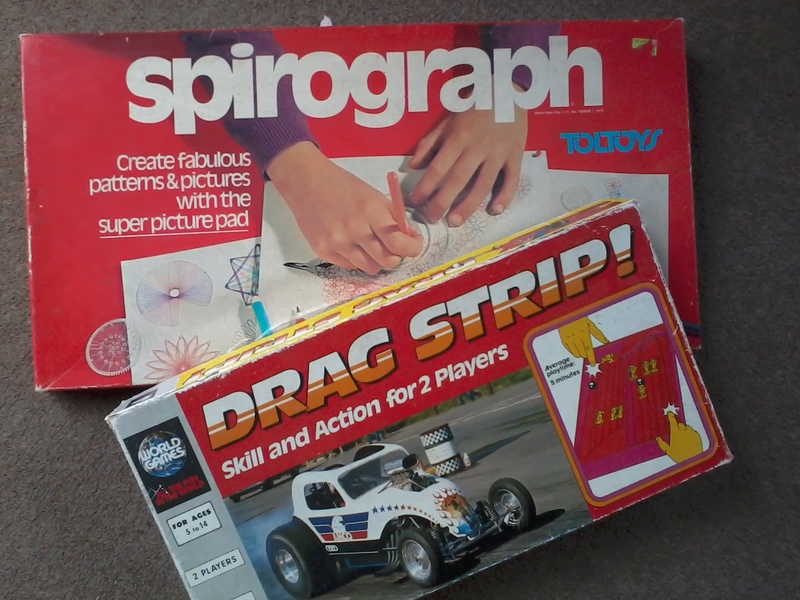 And I love Spirograph – in fact that looks like the set I had as a girl. Spirograph – yep, this one is circa mid 1970’s, a relic of The Bean Counter’s childhood along with Drag Strip (a game which I can not usually tolerate being played around me – it has the most annoying spring-pinging noise). Omas are wise people. And who wants boring anyway? I got my Spirograph sometime between 1968 and 1970. I admit to having no knowledge of Drag Strip, but we had a game from that era called Trouble that was really a version of parcheesi – it had a pop up bubble with the die in it, and it drove my mother up the wall. Not to mention the arguing. As far as I can remember the whole business of having friends when you are young is pretty miserable. Joining clubs is the best thing then at least you know people with the same interest. Clubs are definitely a great way to meet like minded people! I feel for you in your conundrum. I’m glad your daughter had a friend over – it is indeed a learning curve. There will be other times when it goes fine, I’m sure😊.